The beauty of cloud-based platforms is that they are adaptable and truly scalable to any sized business. Whether you’re a small company looking to improve your communications or a new company ready to implement a platform to grow with the business, cloud-based solutions keep you covered. 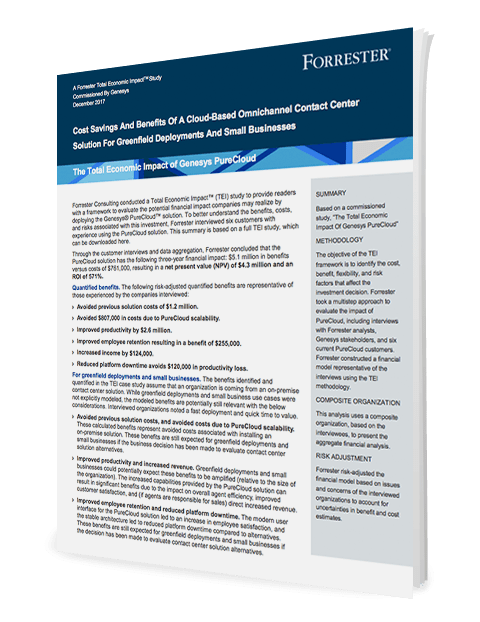 See how the right start puts you on the road to success—download this Forrester spotlight to see what you can gain from the PureCloud platform.